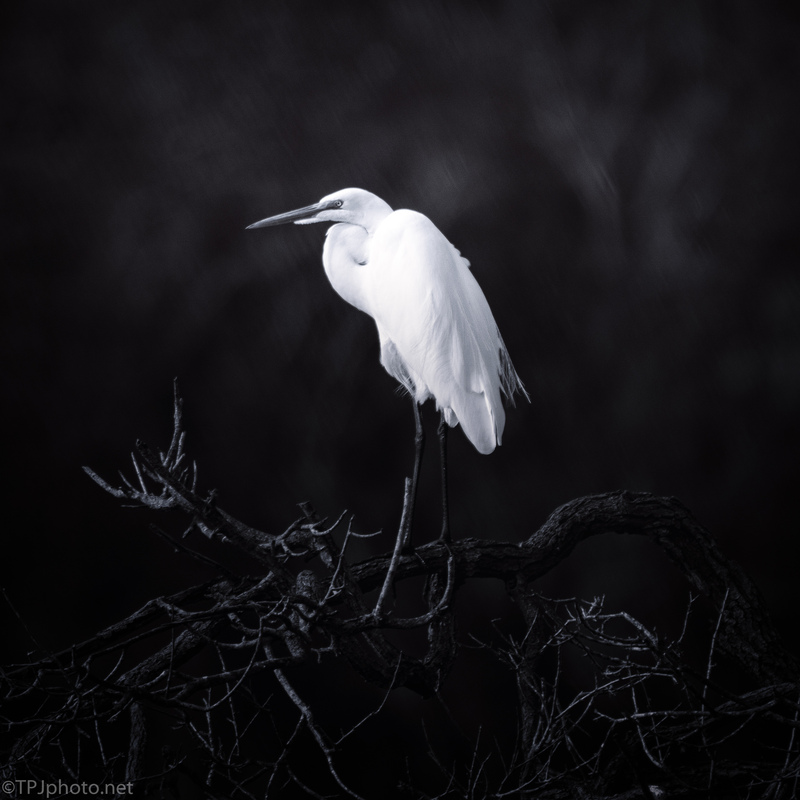 Great Egrets make a perfect subject when you want to work in a traditional ‘high key’ B&&W method. Personally I find wildlife difficult to use in this medium. There is almost always too much distraction in the surroundings. I think it worked here. Thanks. The model posing like this certainly helped LOL.